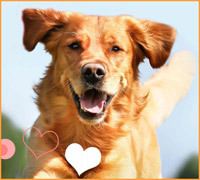 Dental health dictates a lot about your pet’s overall health. You’re not just preventing bad breath when you brush your teeth. In your mouth, right now, there is a host of bacteria, some good and some bad. Ever get a fuzzy feeling on your teeth at the end of the day? That’s plaque. It’s a film of bad bacteria feasting on the sugars left over on your teeth. The film produces acids, which eat away at your enamel, causing holes or cavities. So what about your dog? Sure, maybe you throw him a dental chew every once in a while, but unfortunately, having Fido go to town on that dental treat just won’t cut it. Our pets cannot always tell us when something is wrong, so it’s up to us to regularly check for signs like these to keep them happy and healthy. So think about the last time your dog had his or her teeth brushed. Without regular brushing, the plaque builds up and hardens over their teeth like a super scrape-resistant biofilm. This hardened film will start to form tartar, a solid chunky casing that can irritate gums and make them pull away from teeth. It may also cause swelling, redness and abscesses, which could require tooth extractions. Depending on the severity of Periodontal Disease, your pet may need the treatments listed below to keep their mouth healthy. The best kind of treatment is preventative treatment. Regularly brushing your pet’s teeth is the most important. 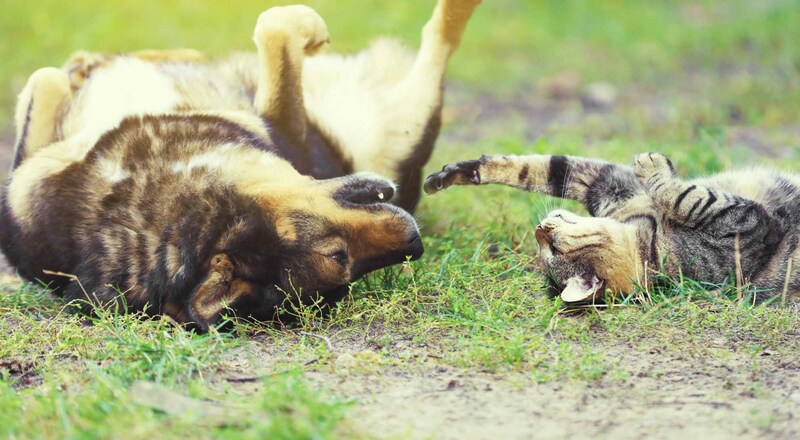 Though your animal may not find it fun, you can make the most of it by getting a flavor of dog or cat toothpaste that you know they will love. With regular and tasty preventative treatment, your pet’s teeth will be looking and feeling their best. Though without the prevention that regular brushing provides, plaque can harden, becoming tartar. Treatment would then involve elimination under general anesthesia with something sharp enough to remove it. The most efficient way is through our ultrasonic scaler; it vibrates at a very high frequency, which knocks the hardened plaque off of teeth. Afterwards, a polish is required to remove the microscopic etches made by the scaler to keep teeth healthy as well as feeling clean. But if the tartar is serious enough to have caused gum irritation or gingivitis, tooth removal may be in order. Serious gum disease can cause loose, broken, or rotted teeth, so if you notice any of these signs, it’s best to make a trip to your local veterinarian. We offer a range of toothpastes, breath sprays as well as tooth brushing services to preserve your pet’s dental hygiene. For further information about dental care, contact our vet staff.